Most of us have a strong desire to become a hacker, but really don’t know where to start. If you are in a similar situation, this article will surely help you out. On a regular basis, I get a lot of emails from people loaded with questions like “How to Become a Hacker”, “What is the Best Way to Learn Hacking”, “How to Start Off” and so on. Instead of answering every such question, I decided to come up with a detailed article on the topic so that it can help all those hacker enthusiasts who have similar kind of questions in their mind. So, I decided to put together all my 10+ years of experience in the field and come up with a book that demands no prior knowledge of the topic and is easy for the readers to follow and understand at every point. 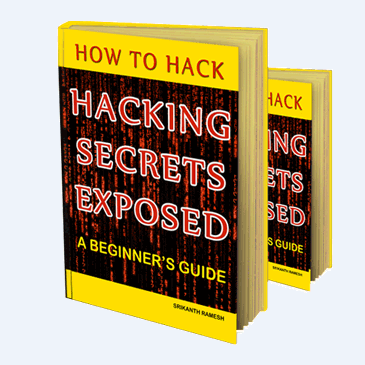 The book is called Hacking Secrets Exposed which I recommend for all those enthusiasts who have a dream to start off their journey to becoming a hacker. This is an excellent source of knowledge for all those who have a little or no prior background of the subject. As an elite hacker, programming is something that you can’t neglect. Even though it is still possible for one to be a hacker without knowing even a bit of programming, it is always better to have some basic understanding of programming languages like C, HTML, PHP, JavsScript and so on. If you are not sure about programming, you can even decide about it later after you finish pursuing your ethical hacking course. In fact, this question is hard to answer as hacking is not something that can be mastered overnight. It requires knowledge, skills, creativity, dedication and of course the time. Everyone can become a hacker provided they learn it from the basics and build a solid foundation. So, if you want to be a hacker all you need is passion to learn, a good source of knowledge that will guide you through various concepts right from the basics and some perseverance.